Pie is one of those special foods that always makes me remember my family, my grandma particularly. She is the queen of pies and always serves up a banquet of them at Thanksgiving and Christmas. Baking cakes and cookies aren’t her specialty, she tells me; she can never get them right! But when it comes to making pie crusts and baking her delicious pies, she is the greatest. The ones that always make an appearance at every family gathering are her pumpkin pies and sugar pies. My favorite is the pumpkin pie; it’s to die for! Unfortunately, since moving away from home, I haven’t been able to have a slice of any of her pies for years. But inspired by that, I have decided to try to perfect my pastry skills. My first go at my own pastry was the crust for this chocolate ginger tart. It was okay, but I didn’t have it quite right. My next go at my own pastry was the apple pie I’m posting about today. Although I do have a version of my grandma’s pie crust recipe, I didn’t use it for this particular pie. The reason I didn’t use it, is that I’m not sure how close the recipe I have is to my grandma’s original one. She told me on the phone last month that she’d mail it to me, but she hasn’t gotten it in the mail yet! 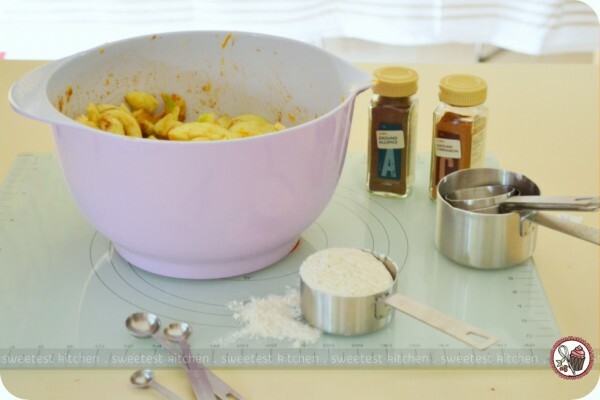 I had been wanting to make my first ever from-scratch apple pie for ages – it would be great practice for my pastry skills, or lack thereof – but never got around to getting the necessary equipment to make one, namely a pie dish! That’s right, I have never owned a pie dish! 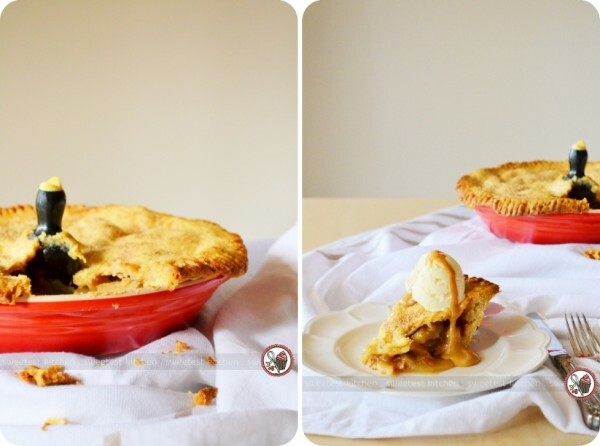 My favorite online kitchenware supply shop, Kitchenware Direct, recently offered to send me a few products to review on my blog and I thought that this would be the perfect opportunity to make this apple pie. I received my first ever pie dish, my first set of Australian standard measuring cups and spoons, a pastry board, an apple peeler/corer, and an ice cream scoop, all much needed supplies that I didn’t have. To get started on a pie, you first need to make the pastry. If you’re doing it the old-fashioned way, like my grandma, you can use your fingertips to mix together some flour, salt, sugar and butter, and then add some ice water, being careful not to overwork the dough. Or, you could do it the more modern way, like I did, and do the same thing in a food processor. I used Martha Stewart’s pate brisee recipe. I’m not familiar with making pastry, so I don’t actually know what the stages of forming the dough should look like. I did a bit of guesswork, then refrigerated the two discs. While the dough was chilling, I got to work on the apples. I should mention that from this step onward, my 6-year-old daughter was helping me. Coring, peeling and the slicing the apples was a breeze with this medieval torture device-looking contraption, commonly called an “apple slinky“. I first heard about and used one of these devices while working in my daughter’s school canteen last year, although I used it only about two times. I found it quite tricky to use and a real bother to clean. However, it did its job well, from what I could see, and sliced the apples really neat – into a springy spiral! 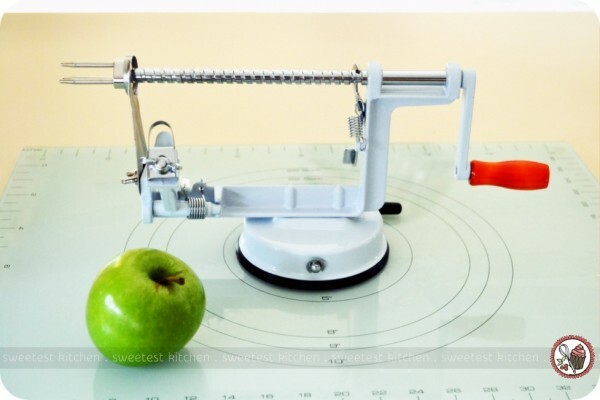 I thought that this would make the task of coring, peeling and slicing 2kg of apples easier. I was right! Look at that cool springy apple! Okay, I do have two complaints about the apple slinky. First of all, yes, it is a pain to keep clean. I’ve had it for just over a week and have been using it at least once a day for the kids’ apples (they love it!) and the metal parts on it are already rusting, despite my using a towel to dry it and sitting it in the warm sun in the kitchen window to help dry it. My second complaint, well, I guess it’s more of a complaint about my countertop, really – it’s not smooth and therefore the suction cup base of the slinky does not adhere to the countertop. For the pie, I ended up suctioning the slinky on to the pastry board, which helped a bit. You really need the slinky to be stable, as you have to apply some force (not much though) to get the apple cored and peeled. You do have the option of leaving the skin on with the apple slinky, just so you know. And it actually is much easier to use than I first thought. After the apples were finished with their journey through the slinky, my daughter just broke off the circular shapes and tossed them into the bowl to mix with the warm spices of cinnamon, nutmeg and allspice and a splash of lemon juice. And these measuring cups and spoons! Does anyone else have a real thing of measuring cups and spoons? I have previously been using a set of plastic KitchenAid-brand measuring cups and spoons. These are in US measurements, so when I follow an Australian recipe, my measurements are a little off. With this Australian standard measuring set from Avanti, this will no longer be a problem for me. 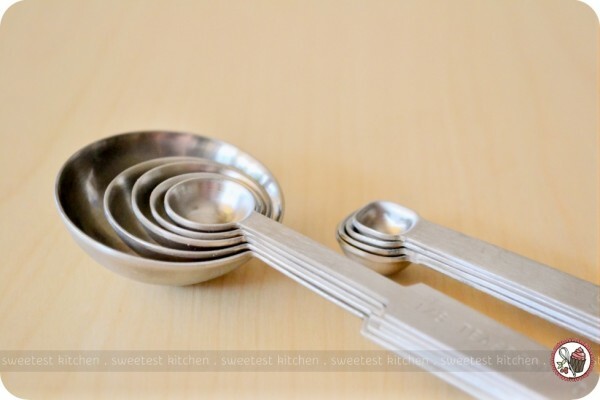 These cups and spoons are just gorgeous and made of heavy stainless steel. Besides Katie, my pistachio-colored KitchenAid stand mixer, these cups and spoons are my favorite thing in my kitchen! 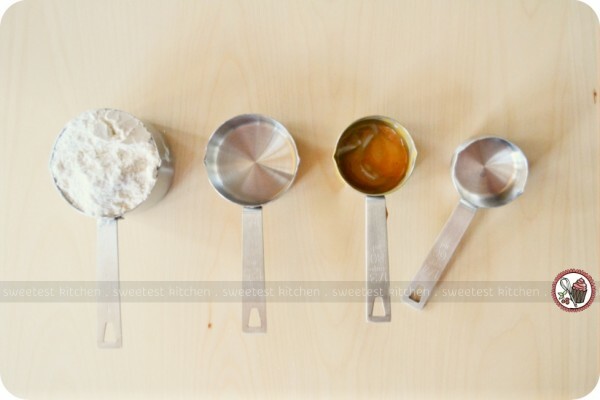 …as do the measuring spoons. 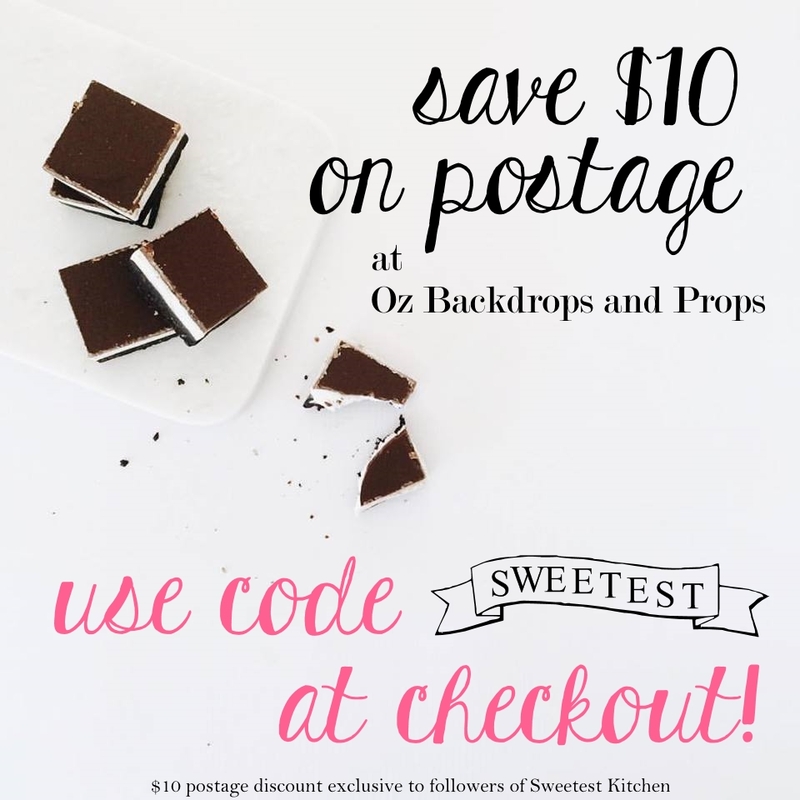 This set even includes a 1/8 teaspoon. The only other one it should have is a 1/2 tablespoon (my KitchenAid spoons have this one). Included in this Avanti measuring set is also a set of those crazy “tad”, “pinch,””dash” and “smidgeon” measurements – how awesome is that! No more guesswork for that questionable “pinch of salt”! …on the glass pastry board. What I most like about this board is the fact that it’s glass – it stays cold and keeps the pastry easy to work with. 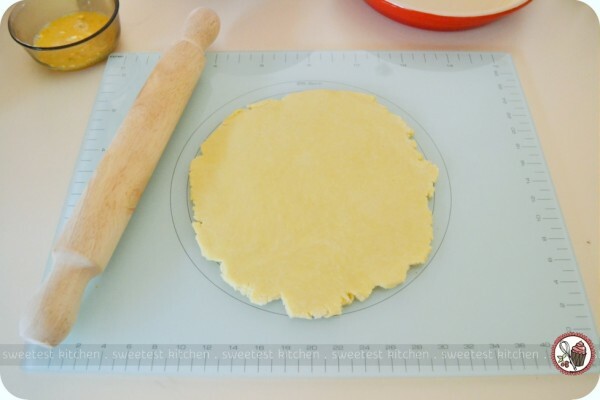 It also has measurements (both in inches and centimeters) printed on it to so you know exactly how big to roll out your pastry – it couldn’t possibly be more helpful! It is a little bit larger than most of my kitchen cabinets though, so storage could be an issue with this particular board. Next, we lined my new pretty red pie dish from Chasseur with our pastry. And put my new pie bird (not from Kitchenware Direct) right in the middle! How cute is that thing! 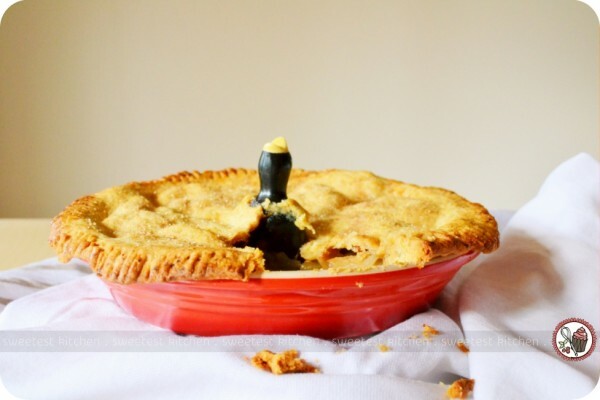 A pie bird (also known as a pie vent, or pie funnel) helps steam escape while the pie is baking, basically serving the same purpose as cutting slits in the top crust. We then piled the spiced apple mixture inside the dish and around the bird and drizzled dulce de leche on top of the apples. After covering the top of the pie with our second crust, brushing it with egg wash and sprinkling demerara sugar on top, it was ready for the oven. It took about 1 1/4 hours. During this time, my daughter went off to play some games on the iPad and I enjoyed the delicious smell of apple pie wafting through the house. I couldn’t even get a picture of the whole pie because I couldn’t wait long enough to dig in! Okay, so when I dug in, I was a bit disappointed. I hadn’t done well for my first ever apple pie. Maybe it looks good, but what I first noticed was that the crust was too crumbly. Secondly, the dulce de leche kind of had a curdled appearance to it, not attractive at all. It did taste very nice, but I was too disappointed in these two major flaws to enjoy it. In the recipe below, I’m not even going to add the dulce de leche to the list of ingredients! With regard to the crust, I got a few suggestions that maybe my ice water wasn’t cold enough. Or maybe I overworked the dough. Or maybe it was because my calculations for the flour weren’t correct; if you’ve been following closely enough, you’ll realize that I used my Australian measuring cups for a recipe originating in the US (I tried to adjust it accurately, though)! Whatever the case, I clearly have a long way to go before I could even come close to living up to my grandma’s pie crusts. Despite my disappointment, I served up the first slice of the pie with a scoop of ice cream and a drizzle of dulce de leche. I love this ice cream scoop from Cuisipro, by the way. 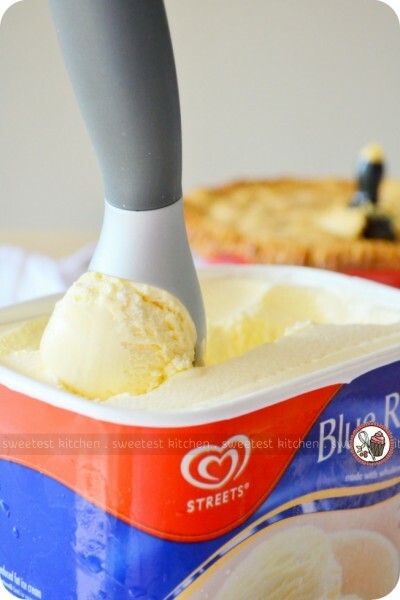 It’s shaped just right to get into the corners of the ice cream container and most importantly, it makes a perfect round scoop! It also feels great in my hand, and is actually quite heavy. This post wouldn’t be complete without telling you what my daughter said about the pie we made together. When the pie was out of the oven and had cooled down enough to take a slice from, I called her in to have a look at it. She looked at it and I could tell by the look on her face that something troubled her. “What is it?”, I asked. She paused and looked kind of embarrassed and hesitant. 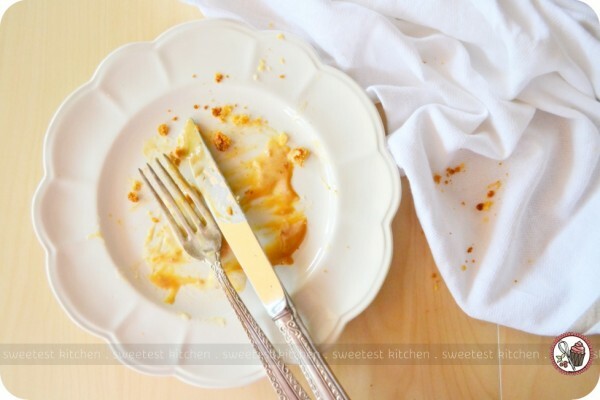 She finally said, slowly, “It doesn’t actually look like a pie, but you tried your best.”. After an initial few seconds of shock, I couldn’t help but burst out laughing! I had to remind her that she had helped with the pie as well, so if she didn’t think it looked like a pie, it wasn’t all my fault! What is your favorite pie? Or your favorite pie recipe? Is there a special type of pie that conjures up happy memories of your childhood? 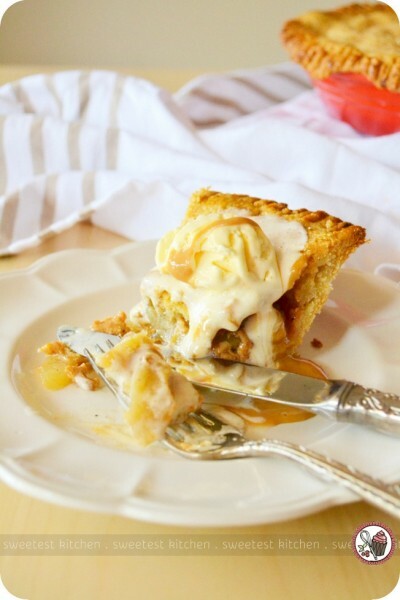 Nothing beats a homemade apple pie! For the pastry: In the bowl of a food processor, combine flour, salt, and sugar. Add butter, and process until the mixture resembles coarse meal, 8 to 10 seconds. For the filling: Meanwhile, mix together the apples, lemon juice, sugar, flour, salt, cinnamon, nutmeg and allspice in a large bowl. Set aside. Roll out the dough on a lightly floured surface until it is big enough to line a 10-inch pie dish with a ½-inch overhang. Gently press into the dish. 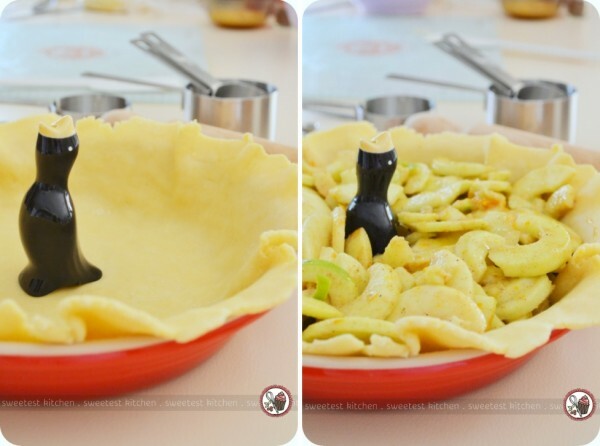 Fill with apple filling. Roll out the second disc of dough until it is big enough to cover the top of the pie dish with a 1-inch overhang. Tuck the edge of the pastry under the edge of the bottom pastry and crimp together with your fingers or a fork. Brush with egg wash, sprinkle with the demerara sugar and cut 4-5 slits in the pastry. Place on an oven tray and bake for 1 to 1¼ hours, until crust is golden. Serve warm with a scoop of ice cream. This looks really good. Kids say the funniest things some times, haha! 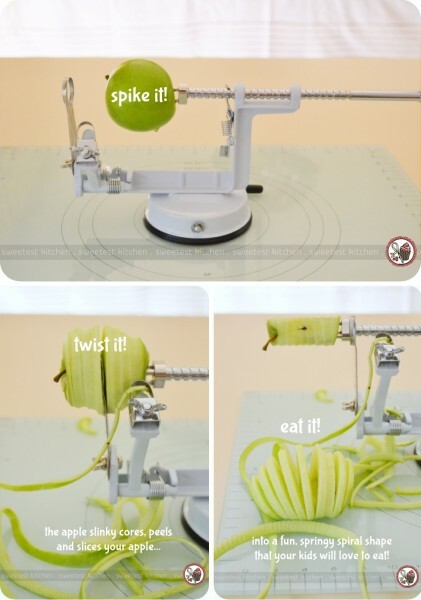 I love the idea of using the apple spiralizer thingamajig to easily cut and peel them! Oh, I love a good pie bird, don’t you? I have that same one. Your pie looks just fine; good enough to eat! Here’s a tip for the next time if you think it might help. I fold the top pie crust in half and cut a “half” circle with a shot glass for the hole. It’s easy then to drop the crust over the bird, and leaves a nice top that’s easy to cut around. Keep going; you’re on your way to “grandma” status one day!